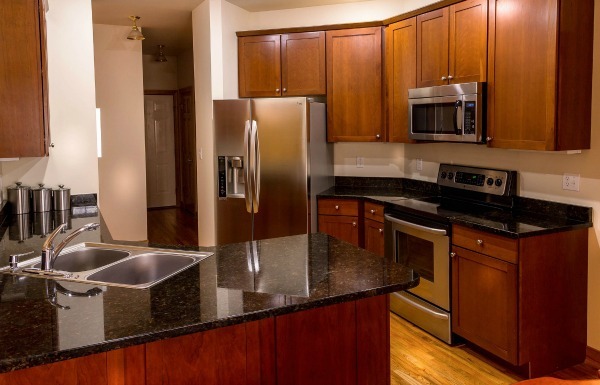 There is nothing quite like the look of stainless steel appliances in a kitchen. They are very popular right now and most kitchens seem to have them. But one of the problems associated with them is how on earth do you get rid of the fingerprints that seem to accumulate on them without spending a lot of money on a stainless steel cleaner? Easy. Just use common household Cream of Tartar. This stuff makes a super DIY stainless steel cleaner at a fraction of the price. Stainless steel is a great material for pots and pans, as well as appliances, but it does get discolored and scratched with use. (to say nothing of those awful fingerprints. 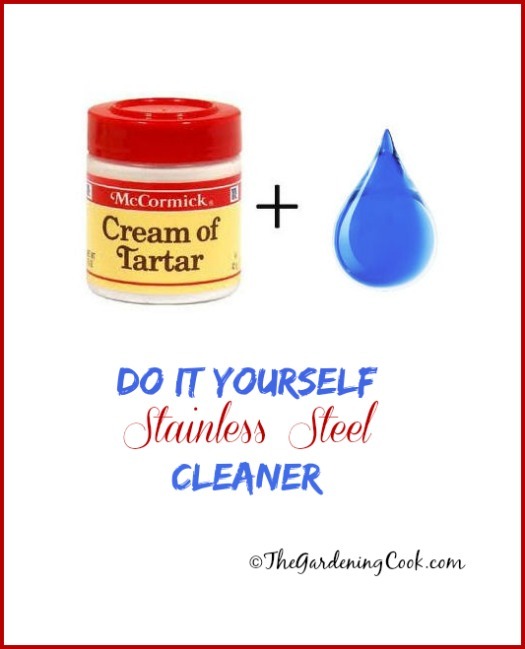 This common cooking additive makes a great Stainless Steel Cleaner – cream of tartar. It only takes a tiny bit to make a natural cleaner and has no harsh chemicals. Your pots and pans, and kitchen appliances will be clean at a cost of just pennies. For more great household tips, be sure to visit my Pinterest board. Hi Carol, I left my clean stainless steel pan on the stove at high heat for too long and the inside (bottom) of the pan turned a horrible brown colour. I tried boiling vinegar and water but did not work. I also tried boiling lemons in water in the pan, and that did not work. I also tried baking soda. I am going to the store now to buy crème of tartar but if that does not work, I am out of ideas. Every remedy I have seen online is for cleaning dirty pans, but mine is not dirty, just discoloured. Do you have any ideas please?